Don't Think Your Carpets Are DIRTY? Dry in 2 hours or less! 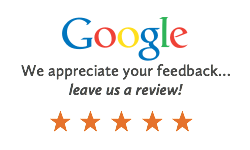 We have so many happy customers who call us every time they need their carpets and rugs cleaned. We take our time to do the job right. 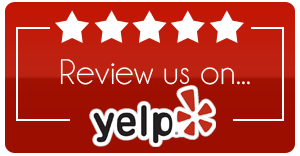 We're a local, father & son team who cares about our customers and that you're happy with our carpet cleaning service. Call Today, or Fill Out Our Contact Form. VERY LOW MOISTURE - DRIES FASTER! Using our low-moisture system will lead to improved air quality and a healthier indoor environment. Many cleaners advertise low moisture, but the drying times are still several hours. Our unique low-moisture system uses up to 10 times less the amount of water used by some water extraction methods. Our process is a legitimate low-moisture system, and therefore, overly-saturated carpets will never be an issue. 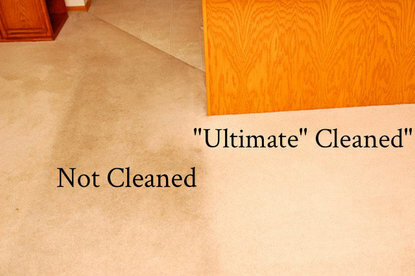 Do you have tough stains that you've tried to get out of your carpet, but haven't had any luck? Let us give them a shot. Old stains are difficult, but we've had some great success in the past where other methods had failed. ​We believe you'll be more than satisfied (maybe even ecstatic!) with our carpet cleaning performance. The best carpet cleaning solution has superb cleaning qualities, doesn't contain harmful cleaning chemicals, and is healthier for your indoor air quality. Our cleaning solution is completely soap-free, odor free, and non-toxic. It will not leave behind a soapy, sticky residue, which greatly reduces rapid re-soiling. Your carpets stay cleaner longer. Our cleaner can even break down old soap residues left behind from previous carpet cleaners! You don’t need a lot of water to see excellent results, either. You need a great solution and excellent agitation. Our cleaner used in conjunction with our unique oscillating machine is how you get the benefit of cleaner carpets and hard floors. We're slower than traditional carpet cleaners. Not slow getting there... we mean that we clean your carpets slow. Slow and steady wins the race, right? We take our time going over your carpet with our machine. We allow it to do the best job that it can. If we try to hurry through your home, you're not going to get the full benefits of what you're paying for. We'd rather that you be ecstatic about the results you find when we're finished! That's why we're slow. But here's the kicker... you'll be able to enjoy your clean carpet FASTER than if you had it steam-cleaned. That's because our carpet cleaning method allows your carpet to dry much faster. 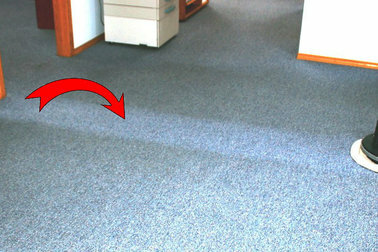 After most of our cleanings, the carpet is dry within 30 minutes and 2 hours. That's compared to 4 to 8 hours with steam cleaning. See what we mean? We're slower cleaning your carpet, but in the end we're faster anyway, because you'll get to go back to normal living on your clean carpet, hours before you normally would. Not bad, eh? We'd love the chance to be the local carpet business you count on for great service, integrity, and high standards. Whether it's upholstery, rugs, carpet, hardwood or laminate, smooth concrete, or tile, we can get it clean. For your home, church, community center, school, or business! It's not always a priority to get your floors cleaned, but we'll make your experience a great one! And wouldn't it be nice to finally find a carpet cleaning service (with awesome customer service!) that you can trust? From Our Family - Thank You!